Wicked cool! I'm sure that your OC will accomplish many things as you want Film Strip to do. I love his colors and concept. WICKED AWESOME! My OCs name is Oculus and she's a changeling. I chose her for a number of reasons! One being I'm a minority and understand all to well being judged by my appearance instead of what's inside. The introduction episode of thorax was very familiar unfortunately. Even tho she is reformed and shares her love with friends and family she choses to stay in her 'older' form due to personal preference. I'm sure some wouldn't understand and assume she's 'evil' The second, less negative, reason is I'm a big halloween fan!!! So is oculus, she adores nightmare night. working at local haunted houses. transforming into big scary monsters!!! She's made up of all my positive qualities. 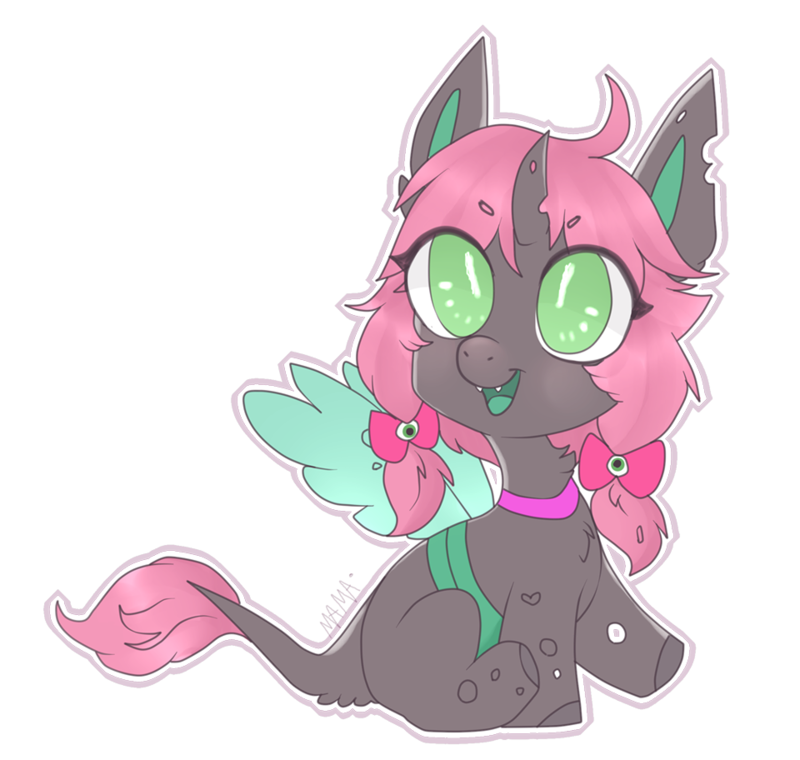 This here is Wax n' Wane, a bat pony. His special talent is candle-making, and his hobbies include spelunking and treasure hunting. The one unique feature he possesses a pair of curious marks on his forelegs, which light up in accordance to the position of the moon. To put it simply, his forelegs glow brightly on a full moon, but are otherwise dark on a new moon. He otherwise comes from Hollow Shades, the ancestral homeland of the bat ponies. In short, he was born of a noble family but renounced his lineage and bloodline after a series of major disagreements with his family. Presently, he hangs his hat at the inn of a griffon named Stuart Thatch, a modest establishment on the outskirts of Trottingham proper. Personality wise, he can be... fickle. Some days, he can be as pleasant as a gentle breeze on a warm summer night. Others, he can have all the combined cheer of an entire graveyard. M̶r̶.̶ ̶T̶h̶a̶t̶c̶h̶ ̶a̶d̶d̶e̶d̶ ̶t̶h̶a̶t̶ ̶s̶u̶c̶h̶ ̶a̶ ̶s̶w̶i̶n̶g̶ ̶m̶i̶g̶h̶t̶ ̶b̶e̶ ̶h̶i̶s̶ ̶c̶o̶n̶n̶e̶c̶t̶i̶o̶n̶ ̶t̶o̶ ̶t̶h̶e̶ ̶m̶o̶o̶n̶ Mr. Thatch has no real bearing on what manners are. Period. Generally, Wax will do what he can manage to help, but otherwise can be put off by what he calls a "roaring sense of inadequacy". His goals are to figure out more about his connection between the glyphs on his forelegs and the moon, as well as any other implications to be drawn from them. Rapid Sparks (left) and my best bud Lightning Crash (right). 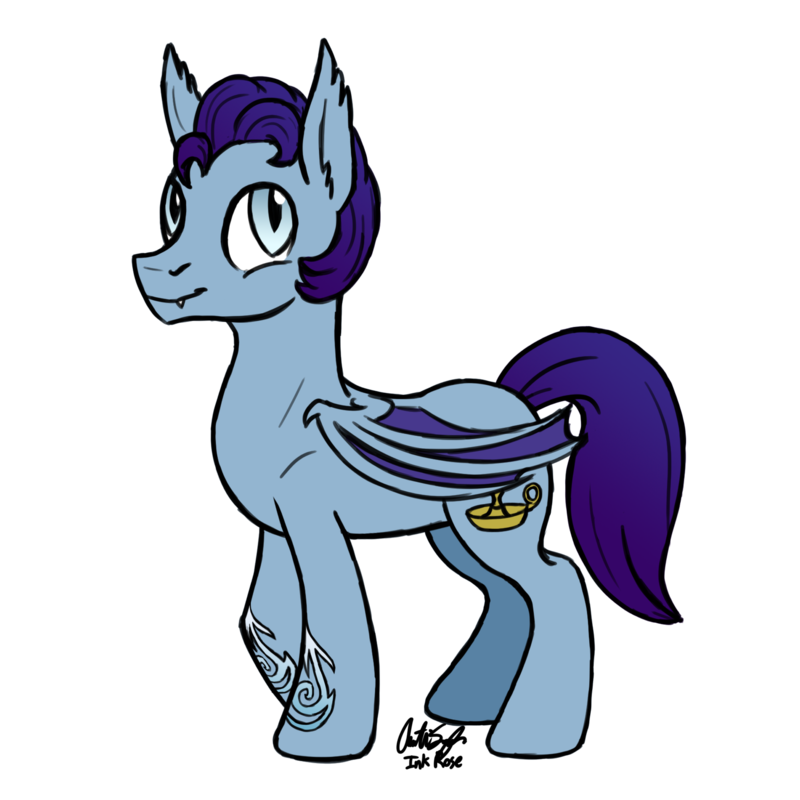 Rapid is a Colonel in the Royal Guard, Canterlot Division, where he works as an advisor for the Guard and it's many facets. A war veteran, he fought in the Changeling War alongside Lightning (a humble Lunar Guard) as a special unit that partook in infiltration missions and some high-profile rescue missions. Even with his bubbly appearance and calming smile, Rapid is a warrior at heart, sharing the trait of hating to lose with the infamous Rainbow Dash. This is Pentatonic as drawn by Mad Munchkin. He's a music teacher originally from Oatsburg where for quite some time music was banned. 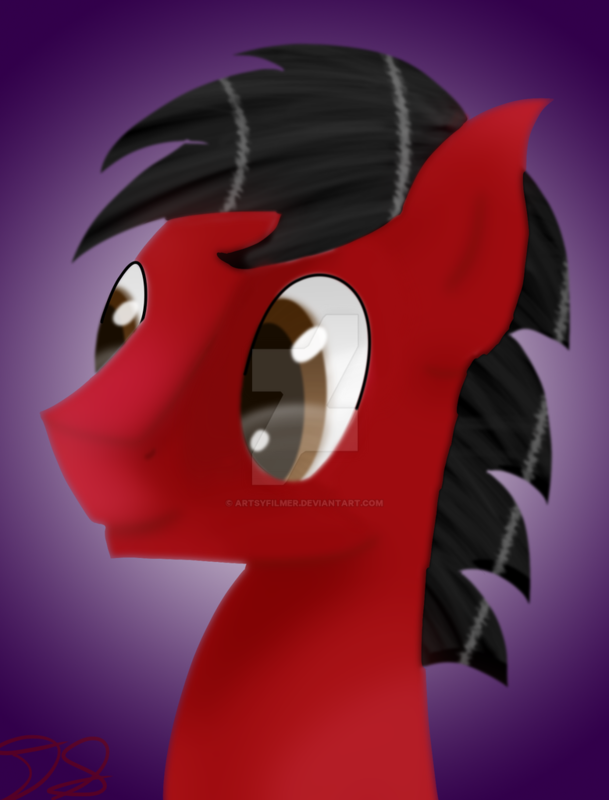 He got his cutie mark when he was finally able to bring music back to the town. 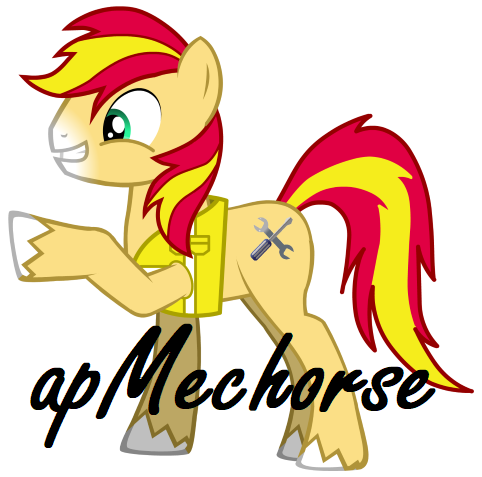 He also has a rather obsessive crush on Sunset Shimmer but it is not reciprocated in any way. 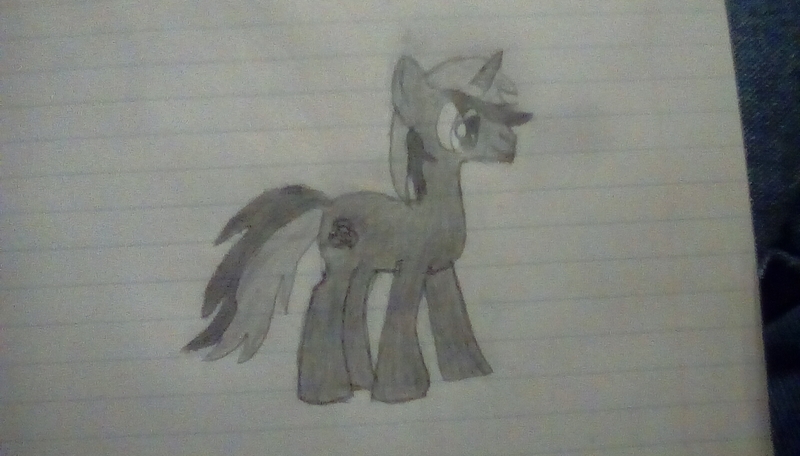 This is my OC; Much like Lyra, he is obsessed with stories pertaining to the "human" world. In particular he is interested in the machines that humans used to fly without pegasus wings or magic. He actually got his cutie mark while trying to build one of those "airplanes" in the barn on his family's farm, much to the annoyance of his family that would have rather used that space for farming equipment. Needless to say, it didn't fly. But he plans on continuing to try in the hopes that one day all ponies will be able to fly! If you share a link from your deviantart using the "Copy image address" it should work fine. 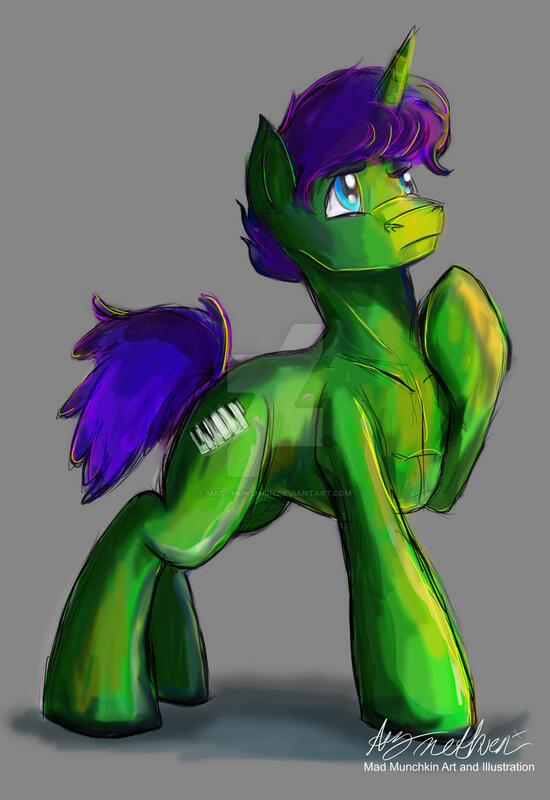 game master earth pony form by brnydude on DeviantArt This is Game Master (Earth Pony Form). Game Master's backstory is that he loved to play games a lot never went and made friends. He was very alone so he made a magic game and placed himself inside to "make" friends. But he knew deep inside that it wasn't real. 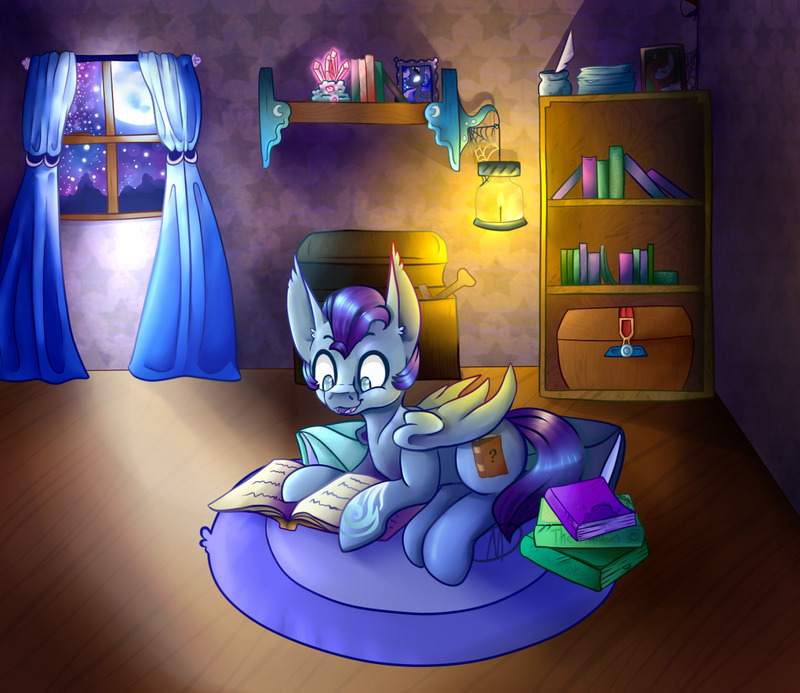 So one day Twilight was drawn by the map to visit his town but when she arrived no one was there but the game, Game Master had made called out to her with screams of ponies and soon Twilight was inside his game. I don't wanna spoil too much because I'm writing a Fanfic about Game Master but I'm sure everyone can guess what happens next. And thus we have his Earth Pony form after seeing what Twilight could do he psuedo abandoned his unicorn horn and looks like an earth pony. Mane: Short, combed back, military cut. Personality: respectful, presentable, loyal, courteous, and conservative(not politically). 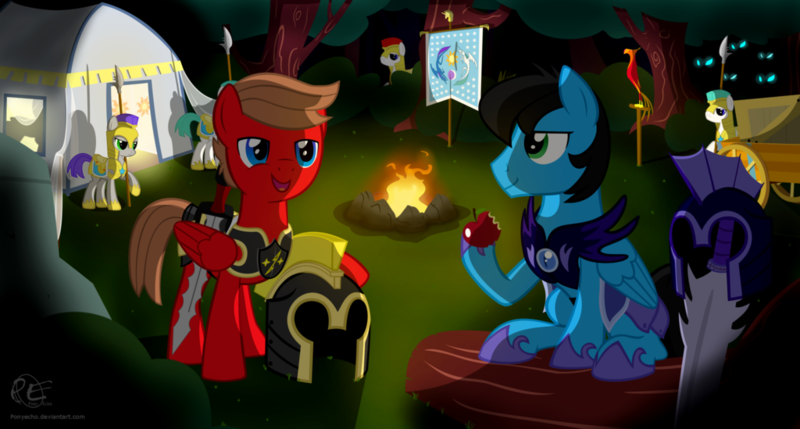 Dante was born into a proud royal guard family in Canterlot, as so he was raised as a respectful, presentable, loyal, and courteous colt, as he started getting older his brother,a royal guard, started being harder on him about joining the guard, eventually when he was 15 after pressure from tradition he joined the cadets (as seen in uniform in the picture of him below) he is currently in the cadet academy for the lunar guard (which is brother is in so he insisted) training. 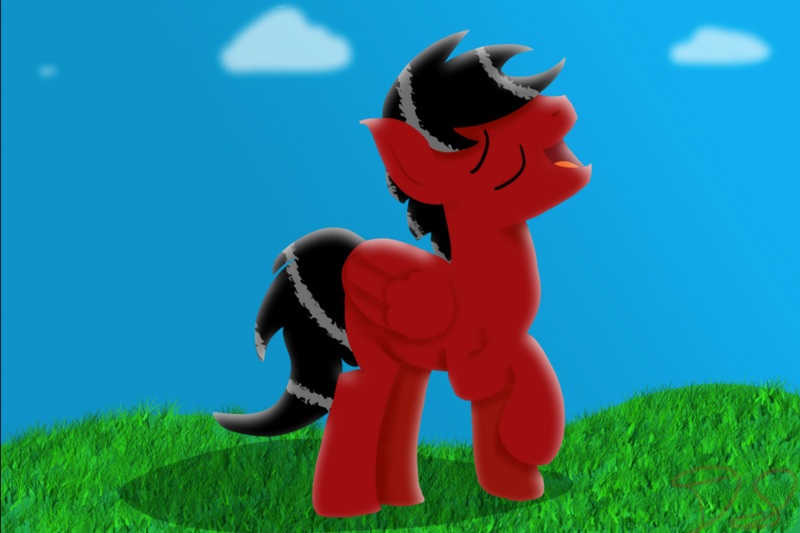 I did my OC on Scratch! I am literally obsessed with my oc. 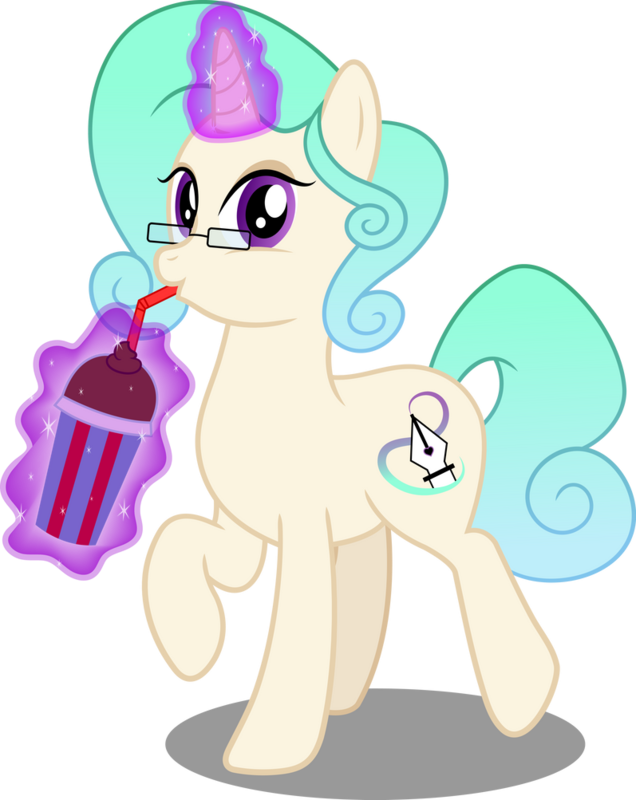 She's a unicorn and her special talent is she enchants items with chosen memories of love ones that have past. Such as lockets, rings, and what notm but it only works a certain amount of times so ponies wont waste away. Nothing makes her happier than giving ponies a chance to see love ones that are gone.